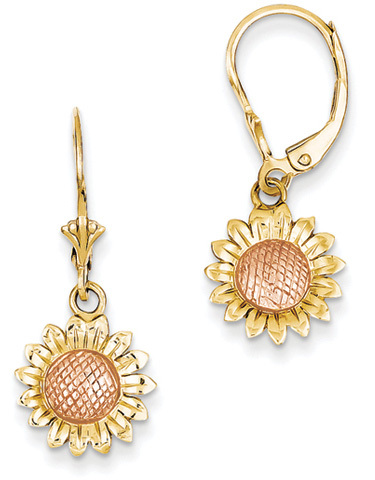 Sunflower dangle earrings made in 14k rose and yellow gold with leverback posts. Each flower measures approx. 1/2" round. A must have for any floral jewelry enthusiast! We guarantee our Sunflower Dangle Earrings in 14K Rose and Yellow Gold to be high quality, authentic jewelry, as described above.